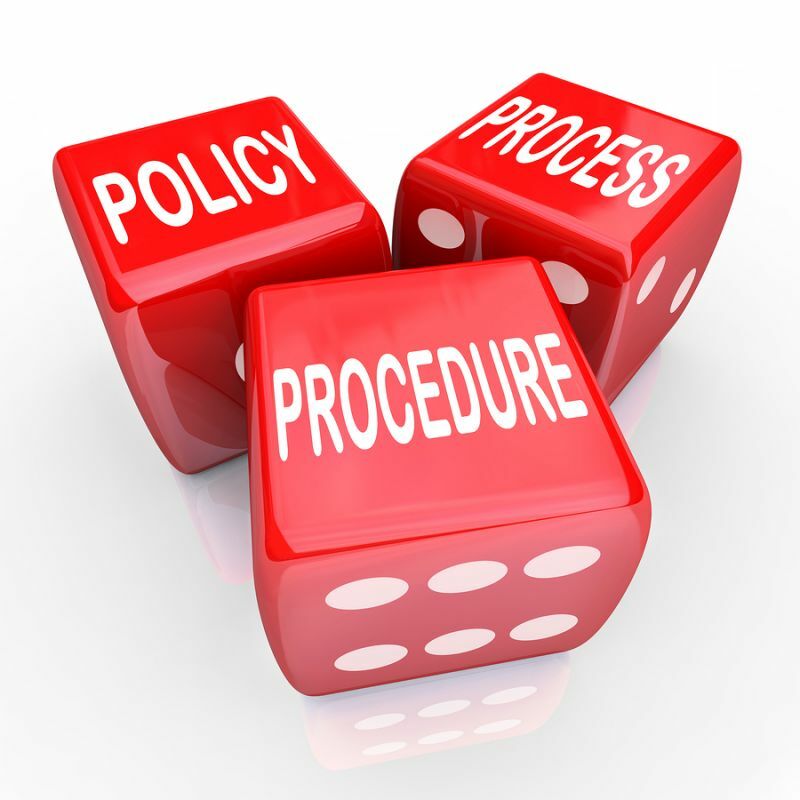 Clubs are advised to read these sample policies and procedures carefully and it is strongly advised that clubs should get their final document passed by their legal advisors before incorporating them into their club constitution. The work of Torro Utd AFC is based on the following principles that will guide the development of sport for young people in this club. Childrens experience of soccer should be guided by what is best for the child or young person. The stages of development and the ability of the child should guide the types of activity provided within the club. Adults will need to have a basic understanding of the needs of young people, including physical, emotional and personal. Torro Utd AFC is committed to ensuring that all necessary steps will be taken to protect and safeguard the welfare of children and young people who participate in soccer. This Policy document clearly demonstrates the importance placed by Torro Utd AFC on the protection and safety of children and young people who participate in soccer. All children and young people who participate in soccer should be able to do so in a safe and enjoyable environment. While doing so they should be protected from any form of abuse be it physical, emotional, sexual, neglect or bullying. The responsibility for protecting children lies with all adults involved in this club and in soccer in general. Torro Utd AFC recognises and accepts its responsibility to safeguard the welfare of all children and young people by protecting them from physical, emotional or sexual harm and from neglect or bullying. These clear policies, practices and procedures in addition to relevant training programmes will ensure that everybody in Torro Utd AFC knows exactly what is expected of them in relation to protecting children and young people within soccer. It is vital that children and young people who participate in Torro Utd AFC activities are able to do so in a safe, enjoyable and quality environment. Advise all members of Torro Utd AFC (coaches, players, parents and spectators) of their responsibilities in relation to the welfare and protection of children and young people who participate in soccer. Operate within the recommended Football Association of Ireland codes of conduct and best practice guidelines. Appoint a Club Children’s Officer in line with Football Association of Ireland requirements. To develop a positive and pro-active position in order to best protect all children and young people who participate in soccer, in order for them to do so in a safe and enjoyable environment. To provide appropriate guidance and advice to all club members (players, coaches, volunteers, spectators and parents) in all matters concerning child welfare and protection. To demonstrate best practice in the area of child welfare and protection. The welfare of the child is the first and paramount consideration. All children and young people have a right to be protected from abuse of any kind regardless of their age, gender, disability, culture, language, racial origin, religious beliefs or sexual identity. All suspicions and allegations of abuse/poor practice will be taken seriously and responded to swiftly and appropriately. It is essential that we work in partnership with children and young people and their parents/carers. The HSE has a statutory responsibility to safeguard and protect the welfare of children and Torro Utd AFC are committed to cooperating fully with them in accordance with procedures as outlined in “Children First” National Guidelines for the Protection and Welfare of Children. Torro Utd AFC will cooperate fully with the Football Association of Ireland National Children’s Officer, Gardai and Health Boards in any investigation of child abuse in soccer. (b) Any act, statement, conduct or other matter which harms a child or children, or poses or may pose a risk of harm to a child or children, shall constitute behaviour which is improper and brings the game into disrepute. (c) Breaches shall become a disciplinary offence. Any member issued with a ban from football activity shall have their name notified to all League Secretaries for onward dissemination to all Club Secretaries. The notification shall state the name of the individual and the fact a ban has been issued. (d) Any participant who is the subject of a Statutory Inquiry in relation to any child welfare concern must stand down from all football activities pending the outcome of that inquiry and any subsequent internal disciplinary proceedings. (e) Any member convicted of an offence by the Irish Courts or Courts of any other jurisdiction involving the welfare of children shall be automatically banned from membership of the Association. For the avoidance of doubt, no disciplinary or other hearing shall be necessary in order to implement this automatic ban. All participants, clubs, leagues, divisional associations and other football bodies shall be bound by the FAI rules, codes of conduct and guidelines governing the protection and welfare of children, and breaches of such rules, codes and guidelines shall be subject to disciplinary sanction. The disciplinary body may impose any sanction it deems appropriate. Any act, statement, conduct or other matter which harms a child or children, or poses or may pose a risk of harm to a child or children, shall constitute behaviour which is improper and brings the game into disrepute. Any participant who is the subject of a statutory inquiry in relation to any child welfare concern must stand down from all football activities pending the outcome of that inquiry and any subsequent internal disciplinary proceedings. Torro Utd AFC through confirming this policy document has demonstrated its commitment to ensuring that children and young people can participate in all soccer activities with their safety and welfare being of paramount importance. It is important to note that the investigation of suspected child abuse is the responsibility of the Statutory Authorities (Gardai, HSE) and should not be undertaken by Children’s Officers or any other Club/League. All allegations of child abuse must be referred to the Statutory Authorities. When an allegation is received it should be assessed promptly and carefully. It will be necessary to decide whether a formal report should be made to the HSE and this decision should be based on reasonable grounds for concern. a specific indication from a child that (s)he was abused;(iii) an illness, injury or behaviour consistent with abuse;(v) consistent signs of neglect over a period of time. Any allegation of abuse must in the first instance be brought to the attention of the Coaching Co-ordinator, Child Welfare Officer, or Chairperson of the Club. Should they be unsure whether reasonable grounds for concern exist they can informally consult with the local HSE duty social worker. S/he will be advised whether or not the matter requires a formal report. Coaches/volunteers may be subjected to erroneous or malicious allegations. Therefore, any allegation of abuse should be dealt with sensitively and appropriate support should be provided for staff/volunteers including counselling where necessary. The coach/volunteer should be afforded an opportunity to respond. The Chairperson will note the response and pass on this information when making the formal report to the HSE. The report to the HSE should contain observations, dates, times, locations and contexts in which the incident occurred, or suspicion was aroused, together with any other relevant information. In cases of emergency, where a child appears to be at immediate and serious risk and the Chairperson is unable to contact a duty social worker, the Gardai shall be contacted. Our Chairperson, if reporting suspected or actual child abuse to the Statutory Authorities will first inform the family of their intention to make such a report, unless doing so would endanger the child or undermine any statutory investigation. All subsequent actions following an allegation of abuse against a coach/volunteer will be taken in consultation with the HSE and An Garda Síochána. An immediate meeting will be sought with these two agencies for this purpose. The Football Association of Ireland National Children’s Officer is also available to provide support and advice. Under Football Association of Ireland rules, any coach/volunteer/manager who is the subject of a statutory investigation into alleged child abuse, is required to stand down from all soccer activities until the investigation is completed. Therefore, the FAI National Children’s Officer must be informed immediately of any formal notification to the Statutory Authorities. When a person is asked to stand down it should be made clear that it is only a precautionary measure in keeping with standard procedures/guidelines and will not prejudice any later disciplinary proceedings. The coach/volunteer concerned should be advised that the procedures being undertaken are in accordance with statutory requirements. He or she should be treated with respect and fairness, and also be assured that all information will be dealt with in a sensitive and confidential manner. The Club will carefully consider the outcome of the statutory investigation and will then assess if there are any outstanding disciplinary issues in relation to their internal rules or infringements of the Football Association of Ireland best practice guidelines. It must be remembered that the fact that the alleged abuser has not been prosecuted or been found guilty does not mean that they are appropriate to work with young people in the future. Internal Club disciplinary proceedings can only be initiated after the Statutory Authorities have completed theirs. Anonymous complaints can be difficult to deal with. However, they cannot be ignored. All complaints relating to inappropriate behaviour/poor practice should be brought to the attention of the Chairperson of the Club. In all cases the safety and welfare of the child/children is paramount. Torro Utd AFC will take all reasonable steps to ensure that coaches, managers and volunteers are suitable to work with children and young people. All coaches/volunteers subject to Garda clearance. All appointments are subject to approval and ratification by the committee of Torro Utd AFC. Once recruited, Torro Utd AFC will make all efforts to support and manage coaches, managers and volunteers ensuring that no person is expected to work alone. Torro Utd AFC promotes FAI coach education within the club and will fund or subsidise any coach education course at PDP1 and PDP2 level. Where new applications to become a coach involve persons previously unknown to the club, the following form, including references, must be completed by the applicant. Previous experience/involvement in sport? Please give details. Have you ever been asked to leave a sporting organisation in the past? Referee: Please supply the names, addresses and telephone numbers of two people whom we can contact and who from personal knowledge is willing to support your application. I agree to work within Football Association of Ireland/Torro Utd AFC Rules and FAI approved codes of conduct & best practice guidelines. I also agree that I will refrain from getting involved in any behaviour that could bring the name of Torro Utd AFC or the sport of soccer into disrepute. The above has applied for a post within the Torro Utd AFC and has supplied your name as a referee. As an organisation committed to the safety/protection and happiness of children, we are anxious to know if you are satisfied that this person is suitable to work with children in a sporting capacity. Are you satisfied that the above named person is suitable to work with children in a sporting capacity? The Committee of Torro Utd AFC are indebted to our coaches, managers and volunteers who give freely of their valuable time in providing a stimulating, challenging, supportive and fun soccer experience to children and young people in the Club. The Committee will endeavour to support these coaches, managers and volunteers in their work by providing an environment where all activities are carried out in a safe, fun manner at all times conducted in the spirit of “Fair Play”. Torro Utd AFC will make all efforts to assist all new volunteers, managers, coaches in whatever way they can. Torro Utd AFC will provide an induction pack to all new volunteers/coaches which will familiarise them with Club rules, policies and procedures and expected codes of behaviour for children, coaches and parents/spectators. Specifically, in relation to those with no soccer background, the Committee have introduced a “Buddy” system whereby new members will accompany one of our existing coaches for a (decide on a time frame) period during which they can familiarise themselves with the Club and its members adult and children and introduce them to some basic training routines and practice models. The Committee of Torro Utd AFC recognise the value of having appropriately qualified personnel in the club, and therefore will endeavour to support any of our coaches in the coach education process (see Coach Recruitment/Education policy). At no time will any coach, manager, volunteer be expected to work or deal with any problem alone and they will be assured of Committee assistance and support at all times. Also, coaches, managers and volunteers are encouraged to share ideas, expertise and support other club personnel in any way they can. Parents/guardians should be informed of the starting and finishing times of training sessions and matches. A first aid kit should be available at all training sessions and matches and injuries should be recorded, with a note of action taken in relation to each one. Never play injured players. Parents/Guardians should be notified of injuries/illness which their children incur while participating in any club activity. In Torro Utd AFC the use of drugs, alcohol and tobacco shall be actively discouraged as being incompatible with a healthy approach to sporting activity. Coaches/managers shall not smoke when taking a session or drink alcohol before taking a session. In relation to our under-age teams Torro Utd AFC shall endeavour to organise receptions and celebrations in a nonalcoholic environment and in a manner that is suitable for the age group concerned. Where this is not possible, the Club will comply with the Football Association of Ireland directive that under no circumstances whatsoever can any person under the age of 18 years consume alcohol and any and all appropriate steps should be taken to ensure that this policy is strictly adhered to. The appointment of Club Children’s Officers is an essential element in the creation of a quality atmosphere in any club. They act as a resource to members, with regard to children’s issues and also ensure that children have a voice in the running of the club and can freely talk of their experiences. Government guidelines advise that a children’s officer should be appointed by all clubs and this should be done in accordance with recommended selection and recruitment procedures. The appointment of this person should be carried out in consultation with juvenile members and their parent/guardians, if deemed appropriate by the club. Club/League Children’s Officers do not have the responsibility of investigating or validating child protection concerns within the club and have no counselling or therapeutic role. This responsibility lies with the HSE and Gardai. Guidance on the Use of Photographic and Filming Equipment, & Social Media. Many people use cameras and video equipment at soccer activities and the vast majority, do so for perfectly legitimate reasons. However, there is evidence that people have used sporting events to take inappropriate photographs and video footage of children and young people in vulnerable positions. Torro Utd AFC has adopted a policy in relation to the use of images of players on their websites, and the club follow the guidelines of the FAI on the positives and negatives of posting on social media. Please see Torro Utd AFC website for full version of the FAI Social Media Policy. Posting club related pictures or videos on social media is subject to permission granted by the club, and with the consent of players/parents/guardians involved. If the player is named, avoid using their photograph. If a photograph is used, avoid naming the player. Ask for the Players permission to use their image. This ensures that they are aware of the way the image is to be used to represent the sport. A player’s permission form is one way of achieving this. Ask for parental permission to use their image. This ensures that they are aware of the way the image is to be used to represent the sport. A parental permission form is one way of achieving this. Mobile phones are often given to children for security, enabling parents to keep in touch and make sure they are safe. Young people value their phones highly as it offers them a sense of independence. In addition, mobile phones allow quick and easy contact, which can make a safe and efficient way to carry out club business. However, such technology has also allowed an increase in direct personal contact with young people, in some cases used to cross personal boundaries and cause harm to young people. Therefore, Torro Utd AFC encourages responsible and use of mobile phones by adults and young people, especially in the use of social media or group messaging. Torro Utd AFC Child Supervision Policy. Coaches are advised to inform players of a time period in which changing will occur, unsupervised by an adult, and to ensure no adult enters the area during this time frame. Missing or Found Child Procedures. In the event of a child being reported missing during club activities, all activity should cease immediately, and attention should be focused on the whereabouts, and locating, of the individual of concern. Coaches must use their own discretion to decide when it is appropriate to contact a Parent/Guardian of such a matter. Please Note: Torro Utd AFC recommends Parents/Guardians are present for all club events, or otherwise inform their respective team coach. The club will inform the Gardai as soon as possible if they feel the matter is escalating beyond their control or capabilities. Coaches should not treat injuries out of sight of others. Use a “Two-Deep” (two personnel, or two players) supervision system. Only personnel who are qualified in administering First Aid or treating sports injuries should attempt to treat an injury. The comfort level and dignity of the player should always be the priority. Example: Only uncover the injured area, or cover private areas of the athlete’s body. Any doubts of a medical nature should be passed on to a suitably qualified medical person. Coaches should not play injured players. Comforting/congratulating players is an important part of the relationship between coaches and players. Limit touching to “safe” areas, such as hand-to-shoulder. It should not involve touching genital area, buttocks, breasts, or mouths. Make your intention to congratulate or comfort clear to the player. Get permission from the player before embracing them – remember that personnel are in the position of power. Respect a players discomfort or rejection of physical contact. Be sure that touching occurs only when others are present. Discipline in soccer should always be positive in focus, providing the structures and rules that allow players to set their own goals and strive for them. It should encourage players to become more responsible for themselves and their actions and therefore more independent. Discipline should be a positive reinforcement for effort. It should encourage the development of emotional and social skills as well as skills in soccer. Players have to be helped to become responsible for the decisions and choices they make within soccer, particularly when it is likely to make a difference between playing fairly or unfairly. There is no place in soccer for fighting, bullying, over aggressive or dangerous behaviour. At all times, players should treat others in a respectful manner. They should never bully, interfere with or take unfair advantage of others. The use of sanctions is an important element in the maintenance of discipline. However, Coaches/Managers/Volunteers and Administrators should have a clear understanding of where and when particular sanctions are appropriate. It should be remembered that effectively controlled organisations and successful coaches/managers/volunteers are characterised by the sparring use of sanctions. The age and developmental stage of the child should be taken into account when using sanctions. Sanctions should always be fair, consistent and applied evenly, and in the case of a persistent offence, should be progressively applied. Remember that although children play organised soccer they are not miniature professionals. Don’t place excessive pressure on children to perform to unrealistically high expectations. Children play soccer to develop their skills, to have fun and enjoy the game. Be on your best behaviour and lead by example. The behaviour of a teams supporters will often be remembered long after the result of the game. Be remembered for the right reasons. Applaud good play, sportsmanship and best effort by the visiting team as well as your own. Welcome and respect all your teams opponents. Without them there would be no match. Verbal abuse of players, match officials or opposing supporters cannot be accepted in any shape or form. Players or match officials should never be regarded as fair targets for ignorant or abusive behaviour. Participate in soccer on an equal basis, appropriate to their ability and stage of development. Torro Utd AFC have decided that all players are entitled to a minimum playing time of …………… minutes per match. (Consult League rules in this regard) Criteria for team selection should be clearly defined. In Torro Utd AFC we want children in Torro Utd AFC to have fun and develop skills in a safe and Fair Play environment where standards of behaviour are just as important as winning. We recognise that competition and winning is an important goal, but winning at all costs does not meet the needs of young players. Torro Utd AFC are aware that recent research would suggest that increasing numbers of children leave sport between the ages of eight and thirteen. A number of the most common reasons given were; that sport was no longer fun, they did not get to play and overemphasis on winning. Therefore, we have to make every effort to ensure that we keep a balanced approach to competition, make sure all players get a chance to play and strive to keep the fun in soccer. Coaches must realise that certain situations or friendly actions could be misinterpreted, not only by the player, but by outsiders motivated by jealousy, dislike or mistrust and could lead to allegations of sexual misconduct or impropriety. Therefore, coaches should be aware of, and avoid all situations conducive to risk. Appropriate safety rules should be adopted and implemented, and protective equipment should be used in any contact training session. A first aid kit should be available at all training sessions /matches and injuries should be recorded, with a note of action taken in relation to each one. Children are defined in Irish Law as being any person under 18 years of age.